My macbook battery dies exactly after 14month! I have no idea how this happened. 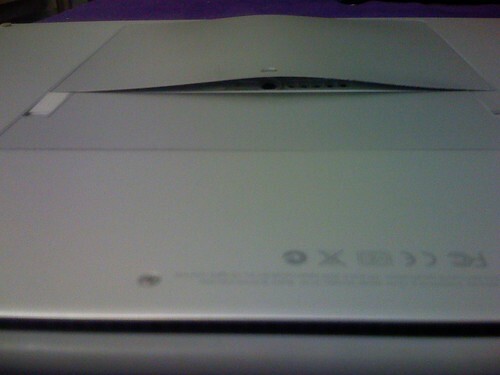 One day I put my macbook in my bag as usual and this is what happened after I took it out. I’m surprised how it even exploded somehow and conveniently dies after 14months from purchase. The battery still has about 50% capacity on its own, but the power indicator doesnt display properly, so it’s hard to tell if it’ll suddenly shut down. Posted on February 4, 2008 by rorcraft. This entry was posted in Uncategorized. Bookmark the permalink.